America’s birthday is quickly approaching. Are you ready to celebrate it the right way? Make Uncle Sam proud and throw a fierce 4th of July party from day to night with ease. We’ve got seven tried and true essentials to party in the USA. Every great 4th of July party needs celebratory sips. Give your college beer pong days an elevated makeover with a classy game of Prosecco Pong. This set has everything you need to get started including 12 non-shatter plastic champagne. Just add sparkling bubbly to complement your Independence Day sparklers! 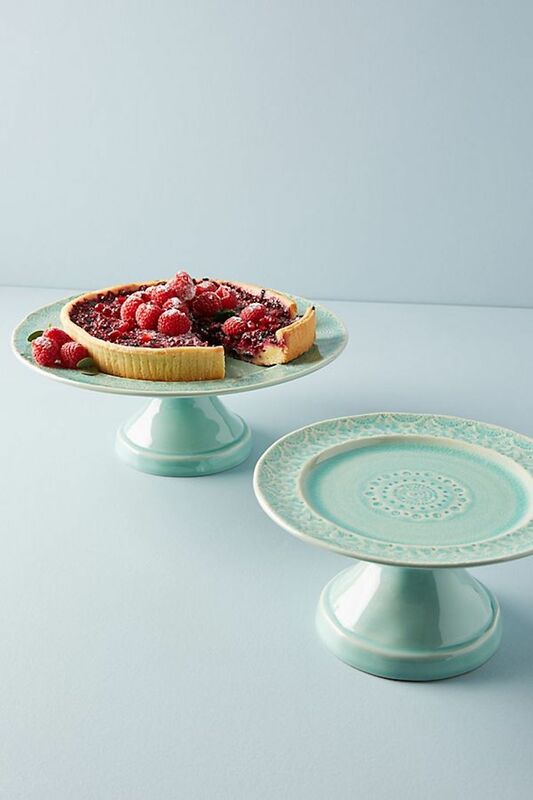 Classic apple pie is a stable of the U.S.A. Party the patriotic way with a tasty pie set on Anthropologie’s baby blue cake stands. Fruity desserts make a festive centerpiece at the dinner table and will leave your guests feeling welcomed and satisfied. Not one for big banners and enormous waving flags? Incorporate the United States flag into your décor in a subtle, simple way. Flag coasters and napkin sets offer an understated ode to your very own Star-Spangled Banner. Toast to the country with a beer in hand before watching fireworks dance across the night sky. 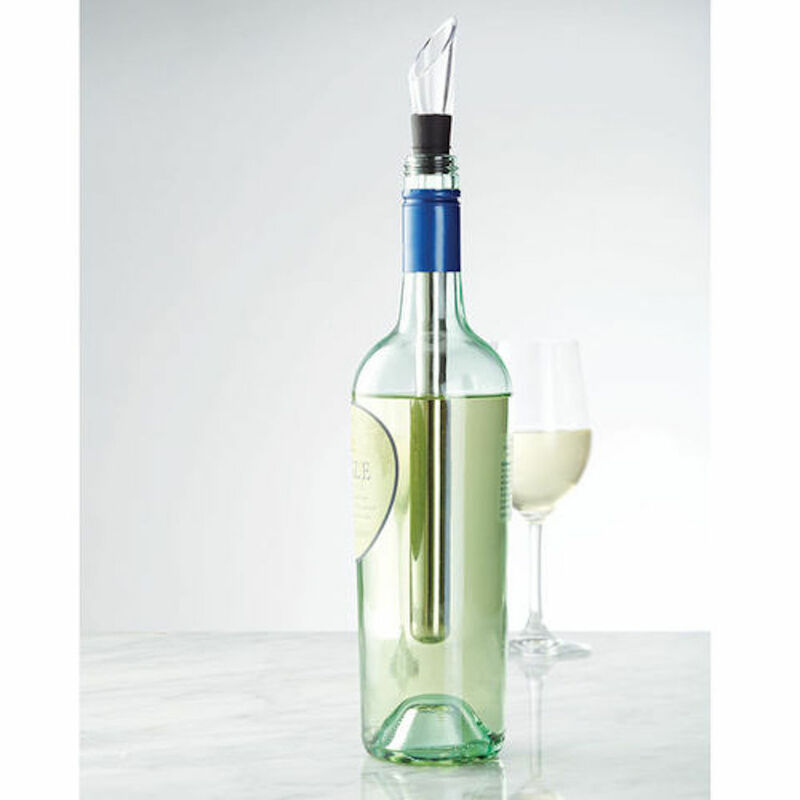 Add excitement to the day’s explosions and stay cool with a glass of wine. Don’t let the South Florida heat deter you from sipping on a chilled glass of your favorite rosé. Having a small fete? 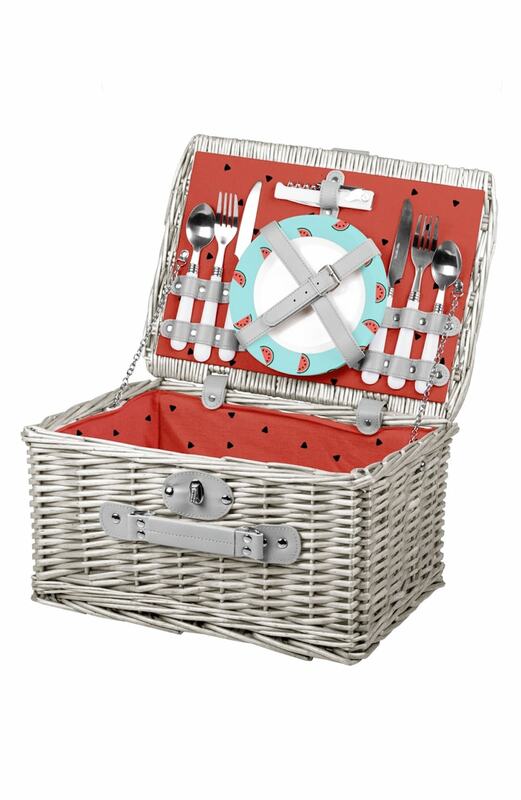 Host an intimate gathering around your red and white checked picnic cloth. Pack a picnic basket with cheeses, chilled wines, and sandwiches while soaking in the summer sun. You can take your picnic basket to your local park or beach to reserve your spot for the enchanting firework show of the evening. What better way to own the night? Burning with anticipation for America’s birthday? Get ready to fire up the grill! Hamburgers, hotdogs and a smorgasbord of toppings can be expected at any 4th of July party. Give your guests something extra to feast on by incorporating skewers of grilled veggies and potatoes on the side. 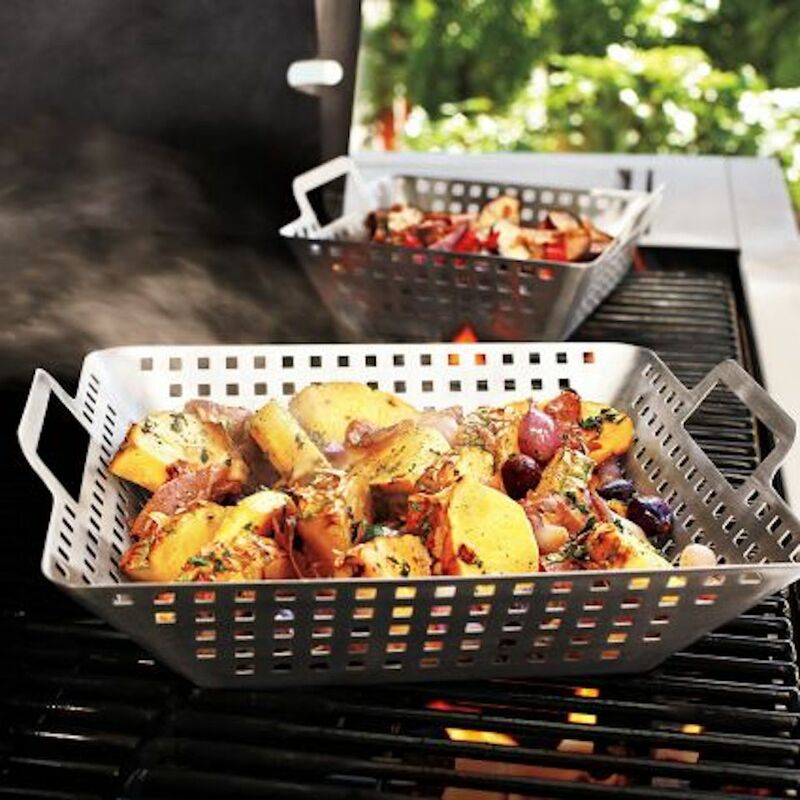 A grilling basket will allow you to cut time on cooking for a party of up to 14 people while introducing a smoky flavor to your salute. This cooking hack is necessary for your outdoor soiree! Invite your guests to don their bikinis and trunks at your 4th of July fiesta. Temperatures are expected to soar, so keep cool in the pool. 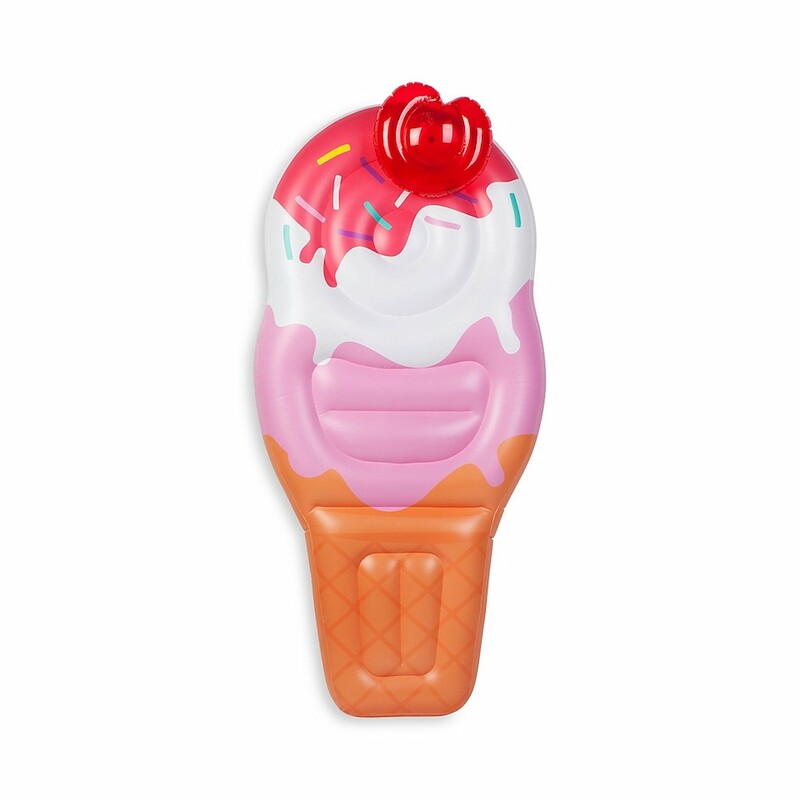 For added relaxation (and a great Instagram photo opp), filled your backyard pool with large oversized floats shaped like your favorite summer treats. Every 4th of July celebration has an unspoken dress code. Rock your red, white and blue patriotically to look your best in the crowd. Bonus points for stars and stripes.